You make Mama’s heart swell with love, pride, and all thing good each and every day. 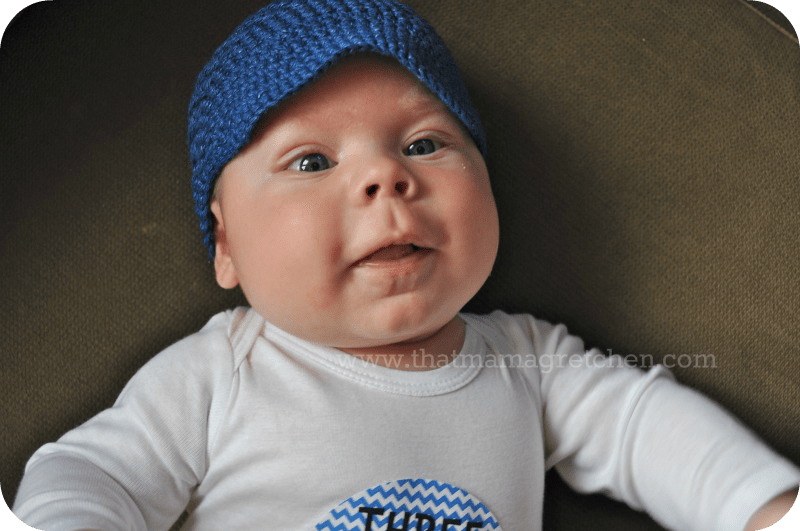 You’ve started smiling from ear to ear (much more than your Sissy ever did) and we all love making funny faces and sounds at you to try and spark a grin. It isn’t very hard! You’re a happy little fella. We’ve spent most of this month snug away at home. Fall has come to the Northwest in full force and between the wet days and your disdain for car rides it doesn’t make much sense to go anywhere. Mama has had a bit of cabin fever, but if I had to be stuck at home with anyone … I’d pick you! Daylight Savings allowed us to wiggle your bedtime from 10pm to 9pm which was a wonderful change. I’ve been trying to get you and Jemma’s nighttime schedules more in sync and it’s working! Last night you went to bed at 8:30pm, right after Sis fell asleep at 8pm. Woohoo! You nurse when I come to bed around midnight and then you sleep for a nice long stretch, usually until 4 or 5am. Sometimes later! I hate to brag, but you are definitely an easy night time baby. During the day, you are a content little man as long as you are in someone’s arms. You still love walking around and swaying in the “tiger in a tree” pose and we’ve brought out the Maya Wrap now that you have better head control. At 18 1/2 pounds, you are a hefty little guy to tote around, but I love having you close. You are my little buddy and I heart you, Max! He is so adorable! 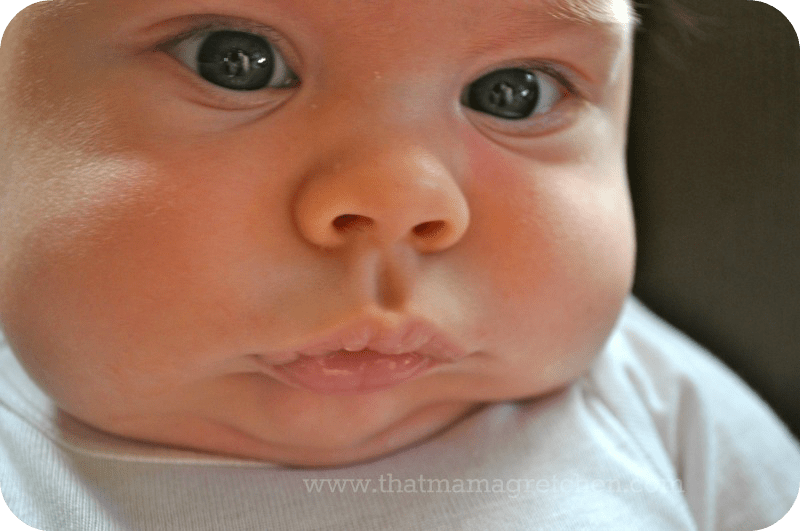 I always think little babies look like they have a master plan to rule the world. 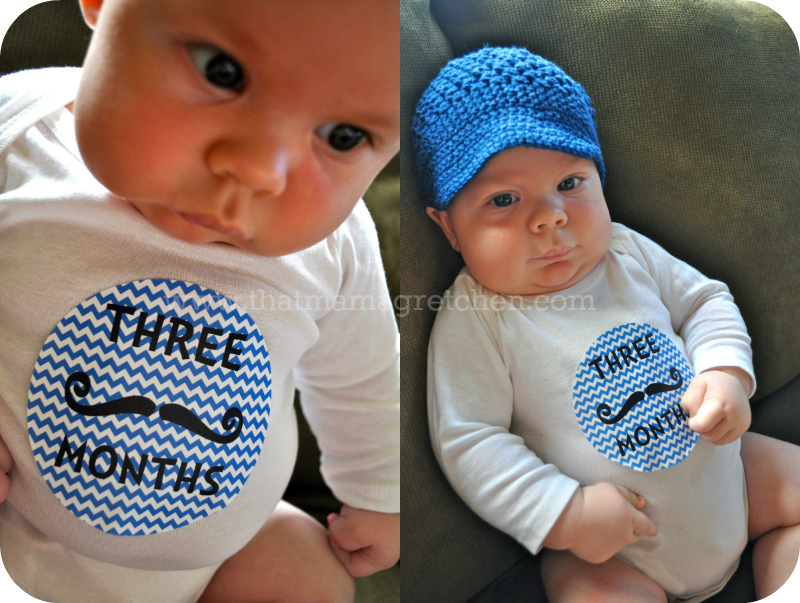 Happy 3 months Max! 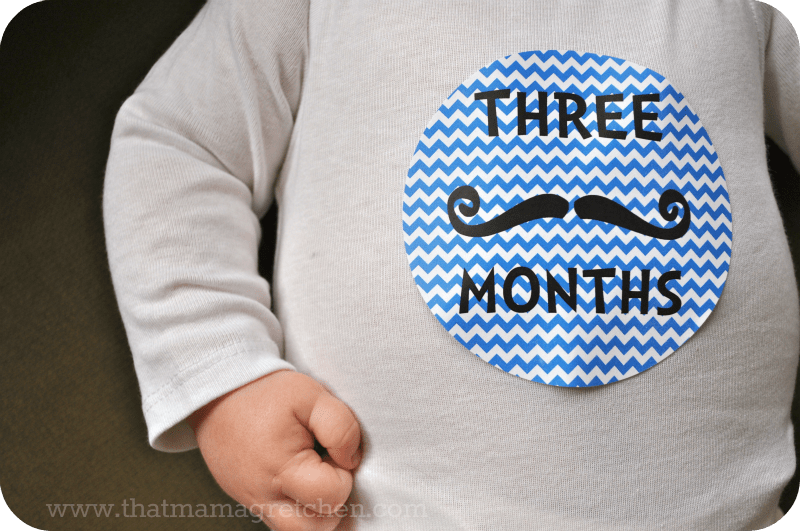 He is so sweet – and I love the mustache month marker, cute! 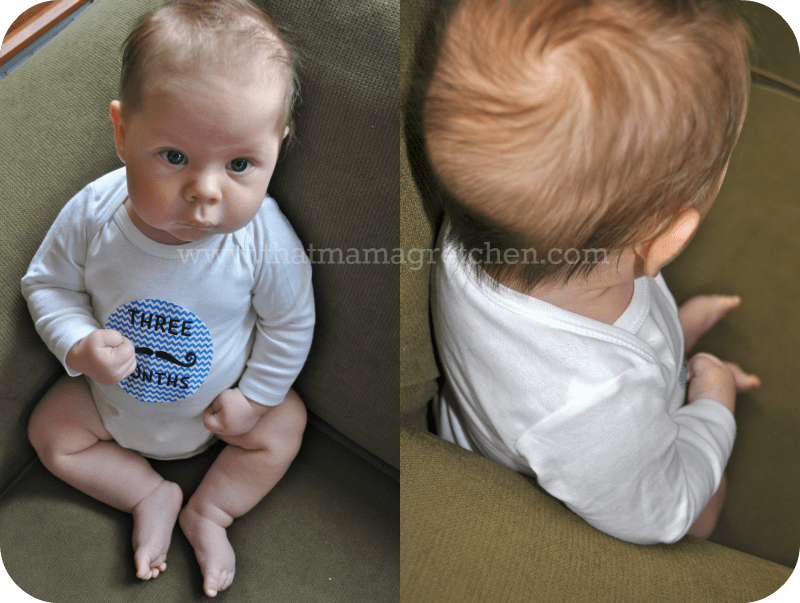 I love them too :) They're from Buddha Bellies on Etsy!